More than any other room in your house, the materials used in your kitchen need to be the most durable of all. Your countertops and cabinets will have to endure heat, moisture, oil and steam, and be able to be easily wiped down or washed after use. At the same time, they need to look good and while not breaking the bank. These are a lot of criteria for your kitchen to fulfill — but it’s definitely possible. Before you start on the renovation process, read this guide to make sure you get exactly what you want. The two most common materials for kitchen cabinets are plywood laminate and melamine particleboard. Those who want a wider range of customisation options should definitely opt for plywood laminate. This material is made by sandwiching layers of plywood between two layers of laminate resin. 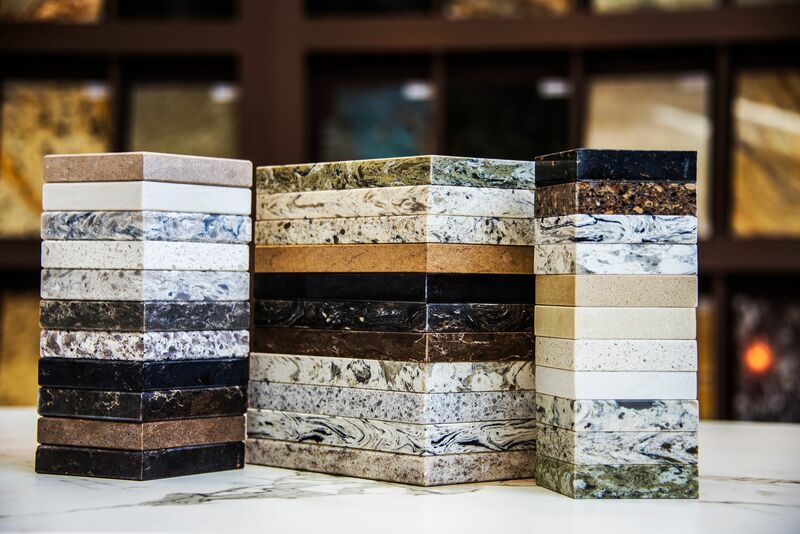 These layers can be customised with thousands of possible designs — meaning that you can even make your cabinets look like concrete or stone if you want. Plywood laminate also has the advantage of being stronger and hardier than melamine. Still, those on a budget should opt instead for melamine particleboard. 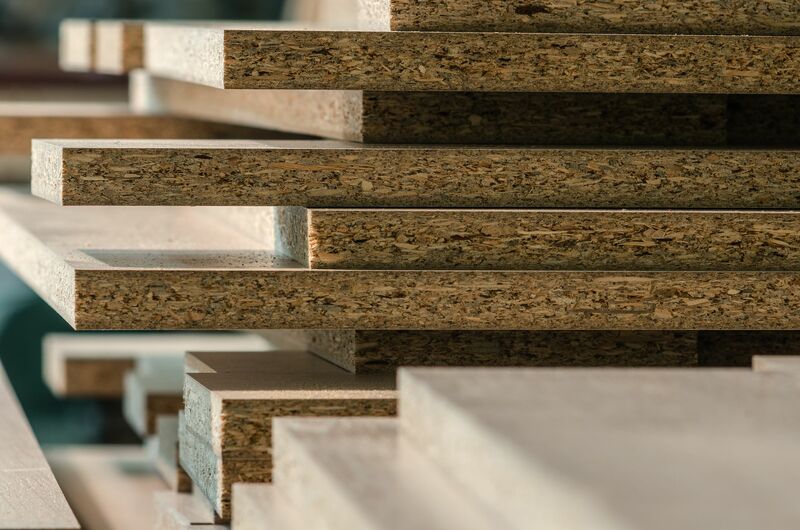 Melamine particleboard is made by compressing wood chips soaked in liquid resin, and is sandwiched by melamine plastic. It only comes in about 50 colours, meaning it is far less customisable than plywood laminate. However, it also has the advantage of being significantly cheaper. 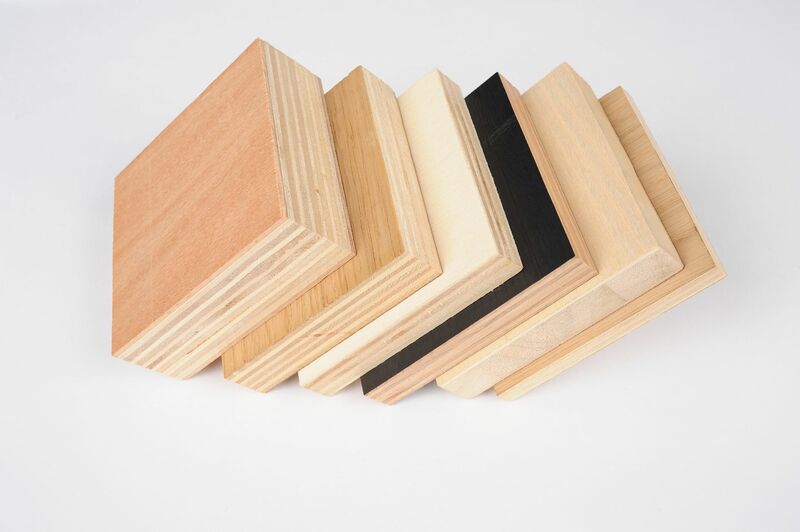 If you’re on a tight budget, melamine particleboard is adequate for most homeowners. It may be less durable than laminate, but it is definitely tough enough for most situations, and will still last you many years if taken care of. As is the case with your cabinets themselves, the material used to construct your cabinet doors will not only determine how they look, but also their weight and durability. For aesthetic consistency, you can always have your cabinet doors made of the same material as your cabinets, with all their accompanying advantages and disadvantages. But if you want your cabinet doors to stand out, acrylic or polycarbonate doors are an option. They also come in a glossy finish, due to an added plastic layer on the outside. If you’re not set on a rustic or homey look, you can also consider 3G and 4G doors. These doors have an aluminium frame around the edge, with a groove to fit your fingers into for easier operation. 3G frames are larger and slightly more old-fashioned, while 4G frames are slimmer. Those who are particularly proud of their crockery may want to invest in tempered glass doors to show off their collection. 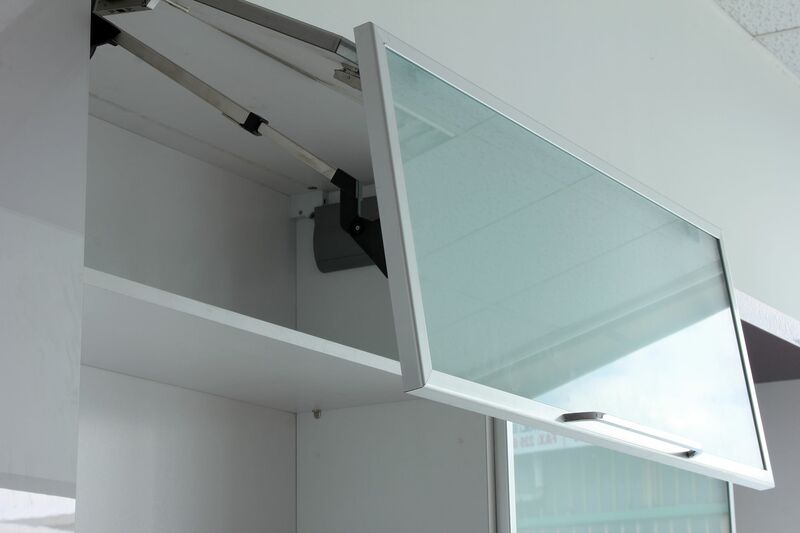 But take note: as tempered glass is heavier than plywood or polycarbonate, you will also need to install stronger hinges, which will add to your total cost. The final major part of your kitchen to consider is the countertop. In general, most Singaporean homes have either granite, solid surface or quartz countertops. Granite is solid rock that is mined from a quarry and cut into slabs before being sanded and polished. Because it is a natural material, each piece of granite is entirely unique — no two pieces will look exactly alike. Some pieces will be deep black with gold and silver speckling, while others will be dazzling white like marble. It is also heat-proof, so hot pans and pots can be placed on a granite countertop without fear of damaging it. Of course, granite does have its unique disadvantages. Of the three materials, it is the most expensive, and can be difficult to repair if chipped or scratched. Longer countertops will also require multiple pieces of granite to be joined together. This is where its uniqueness is a potential downside: because of differences in grain, the seam where individual pieces are joined together will be clearly visible. Finally, without regular sealing, granite’s porous nature means that can absorb oil and water, and eventually discolour or stain over time. If all this seems like too much trouble for you, try a solid surface countertop instead. Customisable with hundreds of different designs, solid surface countertops are made out of plastic resin and aluminium trihydrate powder, so they are completely waterproof and won’t absorb spills. However, they are more susceptible to damage from heat or chemicals. If you are still set on having a stone countertop in your kitchen, but don’t want to deal with the disadvantages of granite, take a look at quartz. Quartz, also known as engineered stone, is made of compressed quartz, pigment colours and polymer resin. It can be seen as a hybrid of solid surface and granite, and takes the best traits from both. Like solid surface, it is non-porous, and it inherits some degree of granite’s resistance to heat and chemicals. Also, because it is man-made, its appearance can be customised to fit any kitchen. Due to its balance of affordability, durability and versatility, quartz is a very popular choice for most homeowners. If you want the kitchen you’ve always dreamed of, look up Recommend.sg, a one-stop database that provides reviews and portfolios of various interior designers and contractors. Although the job scope was extensive, covering cement, plumbing and electrical work, as well as carpentry, tiling, ironwork and painting, Mr Benjamin was pleased that he was able to shortlist a number of different professionals from Recommend.sg. 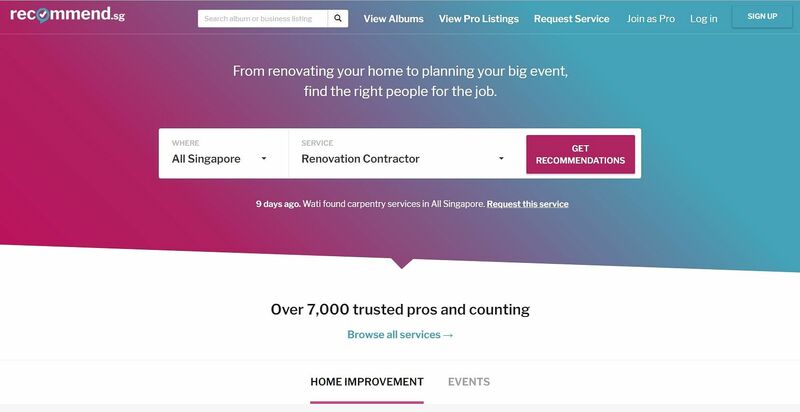 While primarily known as a trusted source for renovation quotes, Recommend.sg is also a platform for people to find contractors in different fields, from plumbers to pest exterminators and even custom cake bakers. Visit Recommend.sg for more information.